A light-colored ale that boasts aromas of orange and pine with ripe peach and apricot atop toasted sugar and bread crust. Friends, beer drinkers, New Mexicans, this beer is for you. Brewed in the American style, this light lager was made with two row, malted barley, melanoidin malt, and flaked corn to emulate the big boys. We threw a few Willamette hops in there as well for balance. 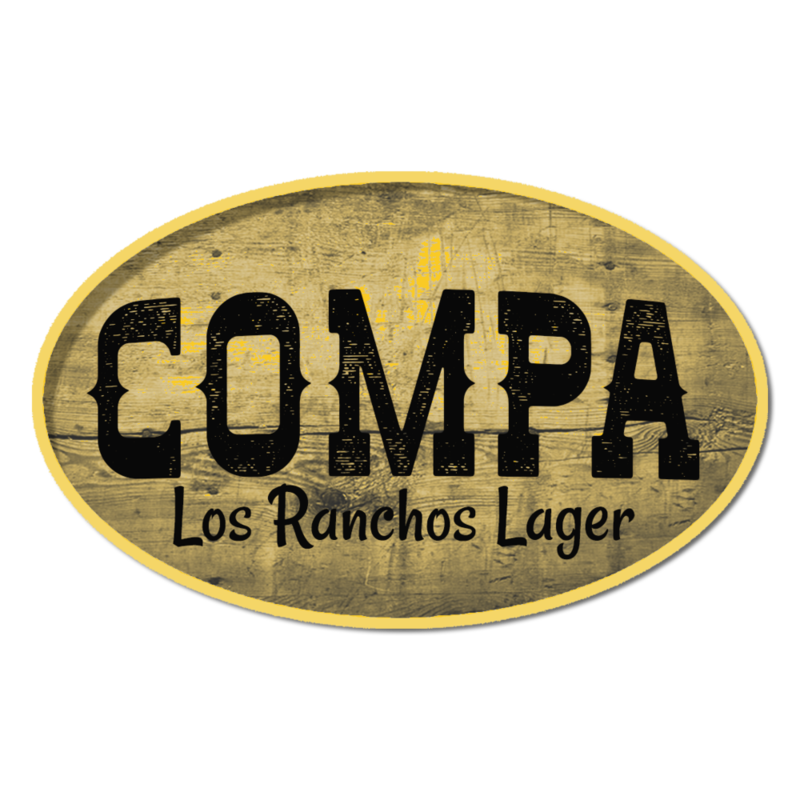 Compa is simultaneously malty and easy drinking. So kick back, grab a burger, and enjoy. A red mahogany, American IPA with classic "C" hop character. Malty and sweet with a touch of roast and a medium full body. An amber ale in the English tradition. Sparkfitter Amber balances toasty malts, earthy hops, and fruity yeast to achieve a classic, pub-style bitter. IT'S BACK! This popular kettle sour is inspired by the Napoleon. Not the famously undersized general, but rather, the flaky, cream-filled pastry. We began the process with a wheat heavy grain bill which we ran off and kettle soured before boiling with lactose, a milk sugar. We then added a ridiculous quantity of pure raspberry puree to the fermentation and let it all bubble away until the flavors developed and the yeast was finished. What resulted is a fantastically fruit-forward brew with a raspberry aroma, striking appearance, and a refreshingly sweet/tart finish. We had fun with this one! A light and dry easy-drinking Kolsch-style ale brewed with German pilsner malt and German hops, fermented cool resulting in a clean, refreshing brew with an herbal, lemon hop character. An American take on an Irish classic. This dry stout is full of cocoa and roast with notes of dates and dark fruit. Brewed to session strength with drinkability in spades. Served on Nitro and CO2. This twist on a classic style combines soft wheat notes with orange, coriander, and a spicy yeast character. Bursting with flavor and prickly carbonation, The Village Wit finishes appropriately dry. Pucker up for this tart, fruity beer with more than a kiss of black currant. Vibrant crimson in color with a rich pink head, aromas of dark berry and hibiscus lead to sharp dry currants and a long puckering finish. An addition of lactose sugar in the boil keeps this one on the sweeter side. The black currant tannins make this a bit of a departure from some of our other fruited sours, but they might just keep you coming back for more. Best pucker up! This collaboration recipe with our friends at FLIX Brewhouse was so awesome, we just had to brew it again. This easy drinking light German Export lager features hints of grain from the Barke Pilsner malt and a soft, earthy hop aroma from the German Perle hops. Some restrained bitterness on the smooth, clean finish offers a refreshing beer for the springtime. Presenting the next in our Smith Hopper series. This time we return to that classic Northwestern hop, Cascade! Munich, Crystal and Pilsner malts along with our house Kolsch yeast lay a clean base to let it shine. Notes of mint, fresh grass and sweet lemon abound with hints of petrichor and a soft doughy character make this a quenching spring treat. Featuring a Chateau Special B malt base and a yeast strain derived from a classic trappist ale, Daydream Belizer boasts a big and deliciously fruity Belgian nose. The cold-pressed, medium-roast Guatemalan coffee from our friends at Pour Vida Coffee introduces a smooth, nutty character. And the 100% Belize Mayan Mountain Chocolate from our neighbors at Eldora Chocolate provides the perfect amount of chocolate sweetness. The fifth iteration of our Steel Bender Cider showcases apples from Manzano Mountain Apple Ranch. The base fermentation consisted of apple and pear concentrates, which fermented to fully dry. We then arrested the yeast activity and added fresh, house-pressed juice from a variety of apples grown at Monzano Mountain Apple Ranch. We let this condition for a good while, and the resultant cider is semi-dry and full of apple character that could only come from fresh pressed apples. This one is as local as it gets. We held a pressing party with our crew, local farmers, and friends. And by the long day's end, we had pressed over 7,000 pounds of apples from a neighboring orchard located right here in the Village. Then we fermented and bottled at the brewery. Los Ranchos Cider boasts rustic aromas that carry the orchard's bountiful history. It's dry while being full of complex fruit flavors and finishes with a spritzy carbonation.⁣ Available in 500mL bottles. A heritage cider pressed from fruit harvested from orchards at the base of the San Juan Mountains along back county roads and rickety fence lines. Nine apple varieties in all: four dating back to the early 1900s; three from the 1950s; and one we call The Bard, the “lost” apple with no DNA origins to any existing apple (maybe bounced out the back of a truck passing through and planted roots? That’s what we liketo think.) Finally, one old (early 1900s) wild & tart pear variety, a "spitter," chock-full of tannin. A journey captured inside every bottle. 750mL bottles. Forget the kitchen sink, we threw the whole shoe at this one! We started with our house Belgian yeast strain to achieve those fruity esters and spicy phenols that play so wellwith the Citra and Tettnang hop base. Then we threw some more in the fermente. . . 2018 harvest Cascade and Chinook hops from Billy Goat Hop Farm in Montrose, Colorado (and more Citra and Tettnang while we were at it). The result? A Belgo IPA pouring a hazy yellow and packed with aromas of grapefruit, lemon, pepper, cut grass, and bubblegum. Packed with potential . . . Barley and wheat malts. Azacca, El Dorado, Elle, and Meridian hops. PERSEVERANCE. And Brettanomyces. Cinderella Story is about squaring up to a challenge, keeping the prize in sight, and shrugging off the impossible. It’s a testament to never giving up. Enjoy Cindy’s hop character now, and then put some away to check in on the Brett evolution. Whatever you tackle, do it with gusto. This bracingly tart take on a Flanders Style Sour has taken some time to bring about. A year in barrels with Brettanomyces, Lactobacillus, and Pediococcus brought about plenty of pucker with a long stay in bottles resulting in a fruity, farmyard funk to balance the acidity. One complex beer that was worth the wait. For fun, we added pure boysenberry puree to some of the barrels of Ned’s Sour Pail. The result is a fruitier, vinous version of Ned’s Sour. Meet VIEJO AGRIO, our first mixed-culture sour beer. Brewed with Pilsner, Aromatic, Wheat, and Special B malts, and touched with French Aramis hops, this beer spent just over a year in brandy barrels with the full treasure trove of bugs. Various Brettanomyces, Lactobacillus, and Pediococcus cultures all got a turn in the extended barrel aging before being bottled with priming sugar and wine yeast. A wealth of funk and brandy aroma mix beautifully with the bracingly tart flavor, giving way to a lingering oak and tannin barrel character on the palate. Discovering Viejo Agrio’s transformations during its journey has been half the fun! Let’s see where it takes us for years to come. . .
Rich with notes of lemon curd, pear and tropical pineapple with a crisp finish. Crisp and refreshing with notes of melon, green apple and nectarines. Off-dry blend of Riesling and Viognier with notes of peach, nectarine, and orange blossoms. It finishes crisp with just a hint of sweetness. Round mouthfeel with flavors or cherry, raspberry and currants with a hint of spice on a soft finish. Ripe raspberry with vanilla and spice with a light body. Perfect for spring! Cherry and cola dominate this medium bodied red with well integrated tannins and a little spice. It has a velvety mouthfeel with just a bit of a peppery finish. Strawberries and cherries burst out on the nose with spring flowers. It has an intense color with a slight purple tint. A pink sparkler with notes of strawberry, cherry, and red flowers. It has crisp refreshing acidity to balance the bubbles. Notes of Meyer lemon with a persistent mouse. Bright acidity that finishes bone dry. Bright lemon and persimmon with a light herbal quality. Finishes with dry preserved lemon notes.